We we decided to make an 8′ “doorway” instead. Modern doorways are 6’8″ in height, but in this house the doors are 6’6″. This left room on either side of the doorway for furniture and a television. The living room has two windows on the north side and one on the east side, but was still very dark. Before removed the wall framing, we erected a temporary frame on either side to support the floor and walls above. This temporary framing was removed after the supporting beam was installed in the new opening. 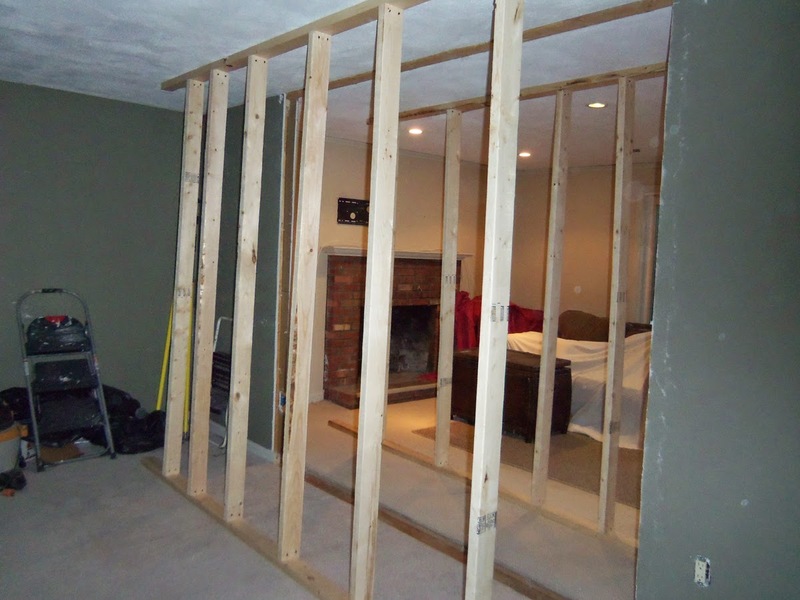 I ordered a LVL (laminated veneer lumber) beam designed to support the weight of the floor and walls above, which had been supported by the section of 2×4 wall that we removed. The owners are very happy with how the light from the sliding doors to the deck illuminate the formerly dark living room. The next step will be to install jambs and casings, plus new flooring. When ordering engineered lumber, the local yard will request certain information about the job, and then relays that to the manufacturer or the distributor. 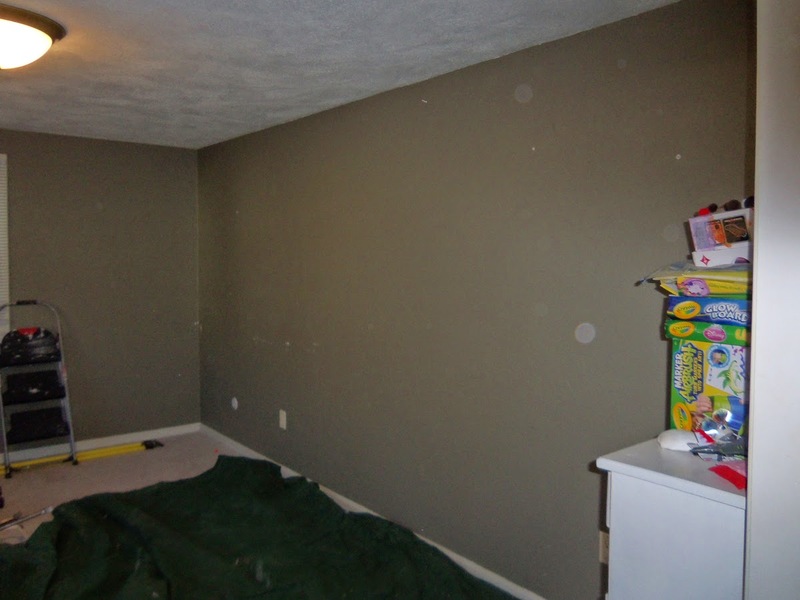 In this case, the section of wall that was removed is part of the center partition that runs the length of the house– it supports the second floor walls, as well as the 12′ floor joists that end over the center wall, and the second floor ceiling/attic joists. No roof load is transmitted to this wall, but in unusual houses where the roof peak is supported by the center bearing walls, the roof load and snow load would have to be added to the calculations. Multiply that times 40 (the sum of the 2nd floor dead load (10 lbs/ft) and the second floor live load (30 lb/ft), plus the attic load (30 lb /ft). This gives us a total live and dead load of 840 lbs /linear foot. Our 3.5″ x 9.25″ LVL beam has a design capacity up to 1470 lbs/lf for an 8′ length, exceeding the requirements, so there was no perceptible bowing or movement when we removed the temporary supporting walls. Headers in openings of this size must be supported by at least two jack studs attached to a full length stud on either side. The weight must be transferred via solid blocking to the carrying beam in the basement below. View a similar house in which we inserted the supporting beam between the second floor joists, thus opening the entire length of the wall. 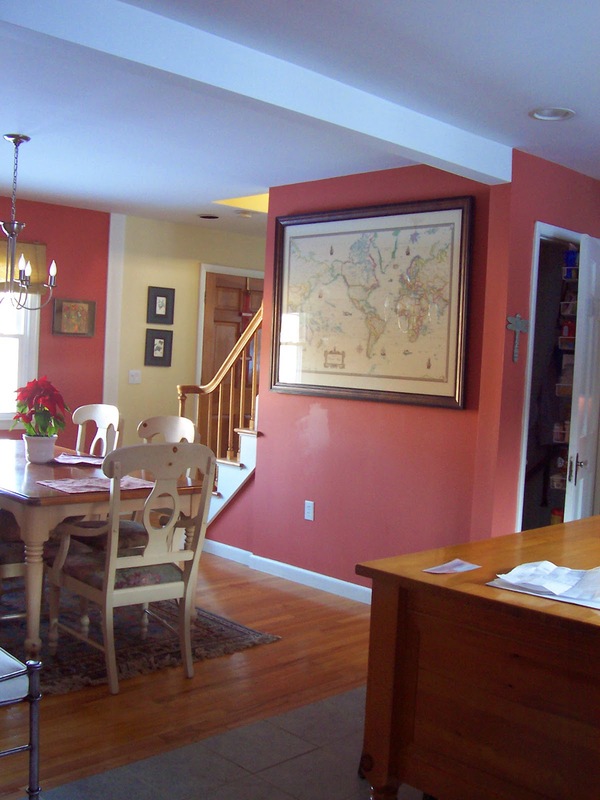 The photo below if from a very similar house many years ago in which we removed the entire length of the wall. The second floor joists were cut so that the LVL beam could be inserted, exposing only the lower third.